If you're a cat owner, you often treat your pet just as seriously as you would your child. So if your cat gets sick, the first thing to come in mind is to seek the help of a cat vet. The scope of veterinary medicine is broad as there is an extensive range of animal species with a wide range of health conditions, domesticated and wild animals alike. However, some physicians specialize only on domestic cats. 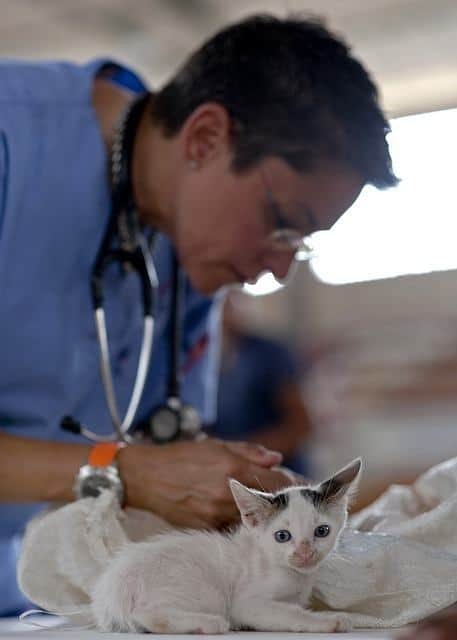 We call these practitioners cat veterinarian, and their primary goal is to provide comprehensive health care for cats. You may not be well aware of it, but there are feline-only clinics where cats are the number one priority. So, when is the appropriate time to visit a vet? As a responsible pet owner, you should be able to recognize the signs that your pet is in distress. Cats are not expressive by nature, and you seldom see them show their real emotions. They sometimes hide from humans when they feel pain and discomfort. Hence, why you need to have a keen eye and discern any physical signs and behavioral changes in your pet. Unlike a child who can verbally complain about the pain, cats can't come to you and speak out about what's bothering them. The only thing you can do is to pay attention to the signs and some changes in the pattern of their usual behavior. Through these, you can decide whether there’s a need to get your pet to the vet or not. If you see the following signs, don’t hesitate to take your pet to the cat vet clinic and have it checked because it may be in pain. Due to their stoic characteristic, most cats manifest very subtle signs that can be easily missed if you’re not observant. Trivial as they may seem, you need to take these signs seriously no matter how subtle they are. Make it a habit of scooping the litter box at least once a day. By doing this, you can determine if your pet is regularly urinating or defecating. If you see a sudden change in its litter box habit, take that as a warning sign that something is wrong with your pet. You also need to be aware of your pet’s behavior and routine. Cats are naturally happy-go-lucky, but there are also instances when they become irritable and short-tempered. If they appear to be grumpy most of the times, at least more than the usual, don't dismiss it as an instance of a bad mood. Even a slight change in its behavioral pattern can mean a lot. When it comes to your pet’s health, there should be no room for disregard. These signs are their only means of communication to let you know that they are in pain and they certainly need help. Cats age significantly faster than humans. Hence, why it is critical to have them undergo a wellness exam to maintain their optimal health. A pet’s wellness exam is a routine medical examination administered by a cat vet to assess the pet’s general health through physical examination and observation on behavior and habits. 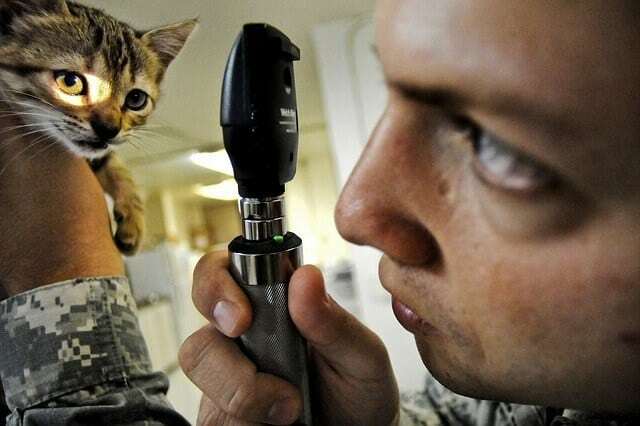 The cat vet will also recommend screening tests to evaluate the health condition of the pet further. These tests may include a stool test, complete blood count (CBC), urinalysis, biochemistry profile, and thyroid hormone testing. Based on the results, the cat vet will then make recommendations for specific medical treatments or prescriptions. The vet will also recommend a change in lifestyle or diet if deemed necessary. It is highly recommended to take your pet for a wellness exam at a cat veterinary clinic at least once a year, no matter how healthy they may seem to be. For kittens, wellness exam should be done on a monthly basis because this phase is where they are at their most delicate state. For older ones, most cat veterinarians recommend a wellness exam every six months. This is because cats are at higher risk of developing a chronic disease as they age. If serious health implications exist, the cat vet may recommend a customized schedule for more comprehensive testing such as x-rays of the internal organs and the skeletal system. This is to detect and treat the presence of any underlying disease. One of the most common mistakes of pet owners is that they suppose that their pet is healthy and they don’t need any medical help. Instead of waiting for the signs to appear, having your cat undergo a wellness exam is probably the best way to ensure your pet’s optimal health. Furthermore, if you need information about cat health insurance, you can find more information here. One of the main reasons why some owners hesitate to bring their pets for wellness exams is that the fact that cats usually panic and become aggressive when they take them to the cat clinic. However, this shouldn't be a surprise. Some kids also do the same when you take them to the doctor or the dentist. Cats may be sociable creatures, but they can sense a doctor when they see one. Moreover, they are not the type of animals that are fond of doctors or a cat hospital. Putting them in a cat carrier is a challenge on its own. Unlike dogs who like to travel a lot, cats are not our typical "travel buddies." In fact, they hate to move. A mere sight of a carrier will stress them out because they already know that getting inside one means they are going for travel. So how are you going to transport a cat without getting it stressed out? Let’s try to look at the other possible reasons why cats are scared at the very sight of a cat carrier. You may not have any trouble putting your cat inside a carrier for the first time you used it to transport your pet to the cat veterinary clinic. Also, you've probably noticed that your cat wasn't as submissive to the carrier just like the first time. This is because the cat knows that getting inside the carrier means going to the vet. So they don't like it. You can reduce their anxiety with carriers by introducing it to them in a different way. Give cat carriers a more pleasant image by using it to keep your cat while you take it for a walk. You can sneak in some treats inside the carrier to lure your cat to get inside it. Act like your usual cheerful self each time you persuade your cat to get into the carrier. Moreover, be consistent regardless of your true intentions are. If you think transporting them through a carrier is difficult enough then the worst is yet to come. Cats become too difficult to handle when they’re at the cat clinic or cat hospital, especially if they have undergone a series of wellness exams before. Trying to calm down and handle a stressed-out cat is also stressful on the part of the owner. However, don't let this give you the reason to give up in providing medical care for your pet. While stressing out is a cat's instinct to show its dislike to the clinical setting, there are ways to lessen your pet's anxiety during veterinary visits. Most veterinary clinics cater to all kinds of animals. Also, more often than not, the majority of their patients are dogs. If you take a cat to a vet clinic full of dogs barking at every corner, of course, your pet would feel intimidated and overwhelmed by them. So this gives them more stress that you can ever imagine. You can ease your pet’s stress by choosing to go to a feline-only veterinary clinic where cats are the only animal species being admitted. The cat veterinarian and staff in a feline-only vet clinic know what has to be done to make the visit less stressful for your pet. Feline-only vet clinics are using facilities that are generally designed with pets in mind. Moreover, their personnel is trained to handle cats sympathetically to make them less apprehensive while being examined. Physical examination and comprehensive tests may not be enough to pinpoint the cause of pain and illness of your pet. 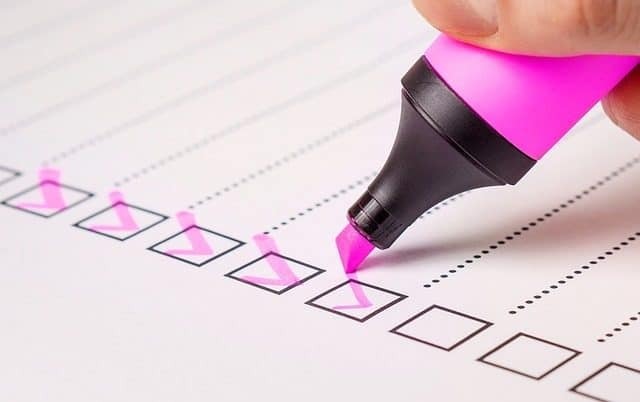 Sometimes, pertinent information such as your pet’s diet, grooming habits, activity level, litter box habits, appetite, water intake, and interaction with others are as equally relevant as the test results. No one can provide this information other than the owner. Make sure to have these details at hand beforehand so you can provide all the data that the vet needs. It's essential to build a rapport with your cat vet to create a trustworthy relationship. This way, you can open up with more necessary details that could greatly aid the vet to trace a potential medical problem. Don’t hesitate to ask questions or speak out any concern to your cat vet. It was stated earlier to take note of the pertinent information that could aid a vet in the assessment of your pet’s overall health. However, this becomes troublesome if you have more than one pet. It is almost impossible to memorize all of these details if you have 5 or 6 cats in the house. So, what are you going to do if this is the case? Easy! Bring out your smartphone and capture their behaviors on video. You can also take pictures of their food and the litter box setup. Don’t forget to take a video of how they eat and how they interact with each other. Showing these videos and photos allows the vet to see what exactly is going on and may recognize something that may explain the current condition of your pet. Before you take your pet to the cat veterinary clinic, you should have already chosen who should attend to your beloved pet. Some pet owners put their trust in the reputation of the cat clinic or cat hospital. If the clinic's status is right, then it means every veterinarian working in it is good. However, still, the prestige of the clinic doesn't necessarily reflect on the staff. It would still be best to conduct a careful evaluation of both the clinic and the veterinarian. Here are some tips to help you determine the right vet and cat veterinary clinic for your pet. How to begin the search for a good feline vet? Make friends with other pet owners. It's essential to become a part of a group with whom you can share the same interest with. Through this, you can gather the information you're your fellow cat owners regarding the veterinarian of their choice. 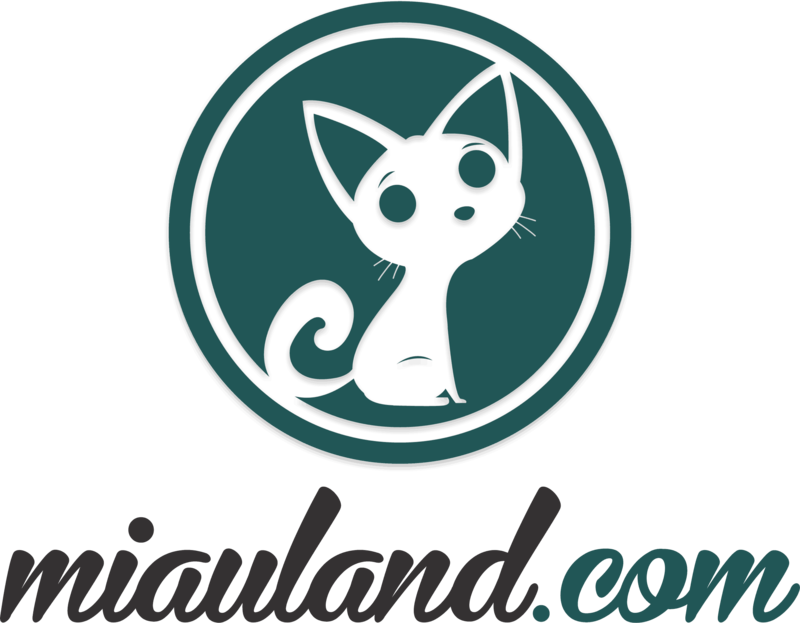 Compare their testimonials and use this information to pick the best cat vet. While you're at it, take time to check their cats, too. In evaluating a vet's performance, nothing proves better as conclusive evidence that the pet's health condition itself. Check online veterinary resources particularly on cat care and other online review sites. Check the complete list of AVMA-recognized veterinarians and organizations. What do you look for in a cat clinic or a cat hospital? 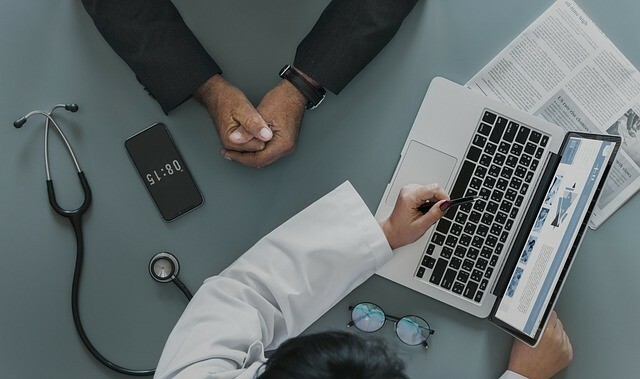 Do you prefer a small one-doctor clinic or a large multi-doctor practice? Is there an existing feline-only clinic in your area? For a pet hospital or vet clinic with mixed practice, do you prefer a separate waiting room and exam room for your cat? Are you looking for a cat vet clinic that offers full-service boarding for your cat? Would you prefer a 24-hour clinic that can accommodate your cat's need any time of the day? 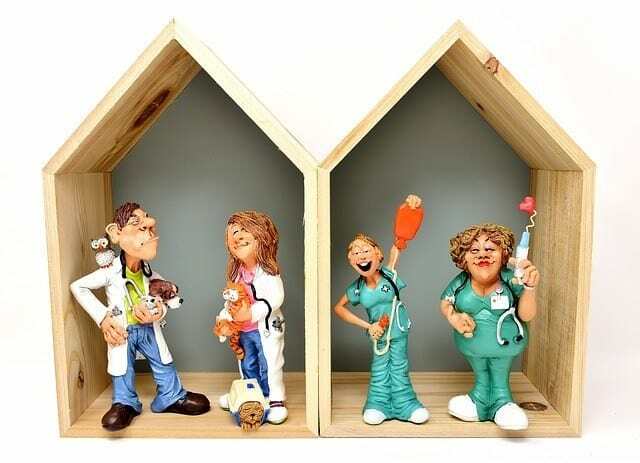 A mobile clinic or house call? Does the clinic provide have emergency services? Before finally deciding on a veterinarian, take time to talk with him/her. Go to a vet who can communicate with you well. Moreover, someone who shows genuine passion towards pets. Is the waiting room pet-friendly? Does it smell clean and free from any unpleasant odor? Is it well-maintained and regularly cleaned? Observe the receptionists. Are they knowledgeable and friendly? Do they answer phone calls promptly and professionally? For pet clinic with boarding facility, are the boarded animals kept separately from the patients? If you have chosen a particular veterinarian, call ahead of time to arrange for an appointment. Don't bring your pet to a clinic without prior notice. Scheduling an arrangement allows the vet to prepare and gives him/her time to study your cat's medical profile further. Consultation and service fees vary from one vet to another. It's a given fact that we always want the best cat vet, but we also need to consider our budget. Talk with the vet and ask how much his/her services cost, as well as the prices of laboratory and diagnostic tests. You can ask the clinic if they're offering payment plans. Some vet clinics usually provide special promos such as exam packages. So always watch out for these promos and take advantage of them. Why do cats repel the sight of a vet clinic? Let’s try putting ourselves in their paws and see it for ourselves. How you do like being shoved into a carrier without any warning? Then you find yourself put in a car and brought to an unfamiliar place full of other agitated animals around. However, we can't just sit and watch our cats get sick just because they're afraid to visit the vet. Sometimes, all it takes is a smart strategy to overcome a difficult challenge. This is why you’ll need a brilliant plan to make your visit to the vet a lot easier. However, of course, you should never expect your pet to love going to the vet suddenly. You can only reduce its stress during veterinary visits. Your pet will still hate it, but it will undoubtedly behave calmer and more submissive than before. Look for a feline-only veterinary clinic that specializes mainly on domestic cats. If there are no feline-only vet clinic in your area, look for pet clinics with separate waiting rooms and exam rooms for cats. Check out how the vet treats your pet. The vet needs to make the cat feel comfortable by showing loving gestures. Communicate openly with your vet and ask for a technique that is more effective and less stressful for your cat. Train your pet to get inside the carrier preferably as early as possible. It is during kittenhood when a cat learns how to adapt itself to other things around it. Learn the ways to make your cat more comfortable in the carrier. Give your pet time to familiarize itself with the car while inside the carrier. Always have some treats, toys or catnip at hand. These things can help your pet calm down. Pay a frequent visit to the vet clinic to let your pet get familiar with the environment. Let the staff greet and pet your cat to reduce its fear during future visits. A pet in a carrier may feel threatened when other people or other animals come near it. As much as possible, keep it away from other people while you’re in the waiting room. Write down all the necessary information regarding the current condition of your pet. Also, also write down all the questions or concerns that you want to raise with the vet. Expect your pet to manifest a change in behavior upon returning home from the vet. Give it time to readjust to the new environment. Clean the carrier to get rid of any residual smell from the clinic. Bring your pet to the vet clinic for a wellness exam once a year. For older ones, a wellness exam should be done twice a year. Don’t just settle for the nearest or the cheapest vet clinic. Take time to tour the clinic and talk with the vet as a part of the initial evaluation. Never store the carrier away from the cat’s sight by locking it up in a closet and taking it out only when it’s time to visit the vet. Don’t grab the pet and drive away with it. Allow your cat to get comfortable with the carrier before you put it in the car. Don’t start the car right away after putting the pet inside. Give it some time until it finally settles down in a particular spot in the car. Don’t give up on your cat’s medical care just because your cat is reactive to it. Never pick the busiest time of the day to set your appointment. If it’s not urgent, don’t pick a Saturday appointment. Don’t yank the pet out of the carrier. Open the door and let your pet get out on its own without shaking it out of the carrier. 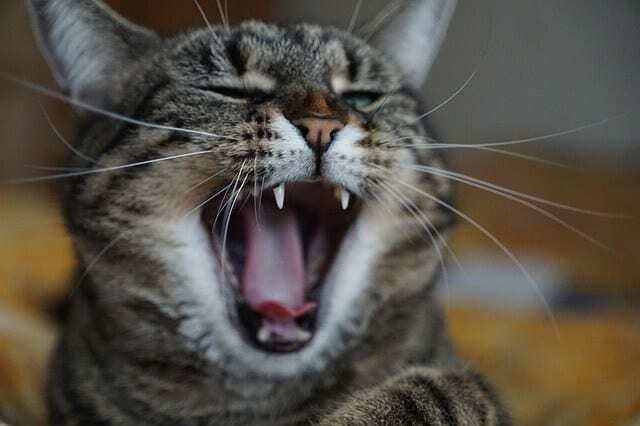 Don't punish your cat when it hisses or growls. Adverse reactions are its normal responses to fear and stress. Yelling at it will only add to its pressure. Building a reliable and trustworthy relationship with your vet is essential. Remember, you are forming a relationship based on mutual trust. Although switching to another vet is still a possible move, jumping to and fro different vet clinics would be troublesome on your part and more stressful for your pet. You'll want to find a vet who can acquaint with you and your pet in the long run. So sticking to one veterinarian is probably one of the best ways to make your cat feel at home in a vet clinic. However, you also need to play your part in a relationship. Besides, the link is a two-way street. Hence, you also need to keep your side of the bargain. You must work as a team and make sure to maintain excellent communication. You must provide all the relevant detail that can help the vet diagnose the current health condition of your pet. In return, it is the vet's responsibility to disclose all necessary information with regards to your pet's health. Together with all the required treatments and preventive measures to ensure that your pet is in optimum condition. As for your part, you need to comply with instructions and recommendations. Also, strictly adhere to prescriptions and other professional advice. As much as you do, veterinarians would also prefer a client who can communicate well with them. However, it's not as if they can select their clients the same way as you choose your feline vet. Don't forget that your pet's health is in the hands of your veterinarian. So you can significantly make their jobs a lot easier by being a good client. Schedule an appointment by calling the vet ahead of time. Don't just barge into the clinic without an interview. Chances are, you may be asked to return some other time around because the vet's schedule is full. That would be utterly frustrating on your part, after spending much time and effort in convincing your pet to get into the carrier and all. After setting an appointment with the vet, write down all the relevant information about your pet’s condition. Some clients tend to forget about these important details when they are inside the exam room. Always keep in mind that veterinarians are busy people. The main reason why you’re scheduling an appointment is for the vet to set aside a time to accommodate your needs and concerns. Also, remember, you are to form an ideal relationship with your vet. You can make a good impression by arriving in the vet's office on time. Moreover, be considerate if the vet runs late to your appointment schedule. Most of the times, emergency situations can't be avoided. Also, just like any doctor, veterinarians will prioritize their patients according to the severity of the condition. 3. Transport your cat in a carrier. Putting your pet in a carrier is the safest way to transport your pet to the clinic. Whether it's a soft-sided luggage type or the kennel-type, a suitable quality carrier can ensure your pet's safety and can significantly reduce its stress. Aside from that, a carrier also protects you and other people around you from the unforgiving claws of a stressed cat. 4. Pay attention to your cat’s wellness exam. Refrain from using your phone or other distracting gadgets while you’re in the exam room. Listen attentively when the vet is talking to you and make sure to take note of every instruction. If the vet sees that you are taking your pet’s health seriously, he/she will also regard you as an ideal client. 5. Don’t hesitate to ask about the cost of services. 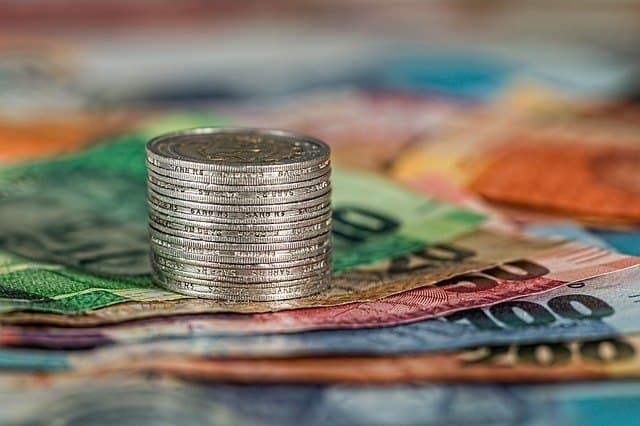 Before you agree on the series of physical exams and diagnostic tests, you need to be transparent with one thing – how much do the vet services cost? Ask your vet to estimate the overall expenses which also include the veterinary consultation fee. More importantly, don’t go beyond your budget. Yes, it's crucial to give your beloved pet the best quality of health care that you can provide. If, and only if, you have the financial means to provide all the best services for your pet. Talk to your vet and honestly tell him/her about your budget. The vet will determine the compelling alternatives that can fit into your finance. If there's a need to undergo advanced technology medications and treatments (which can cost higher), ask your vet about a payment plan. This is why it is crucial to building a trustworthy relationship with your vet. Always remember, they won't consider you if they don't trust you. If a vet puts his/her trust in you, they are likely to be more considerate towards you. However, if you think that a vet is ripping you off with unnecessary fees, don’t hesitate to turn your back and look for another clinic. It won’t hurt you to ask the cost of services from one clinic to another, and then try to compare their prices. 6. Strictly follow the vet’s instructions and recommendations. The general health of your cat doesn’t only rely on the competence of the vet. More importantly, maintenance of well-being and preventive measures for potential illness are mostly carried out by the owners. The veterinarian is doing his/her part when he/she is giving you instructions and recommendations based on the results of the wellness exam. So the rest would be up to you. If you disregard the vet's instructions, you are not only putting everything to waste, but you are also endangering your cat's life. Pay attention to specific instructions and make changes according to the vet’s recommendation. Veterinarians, no matter how proficient they are, are humans too. They also commit mistakes. If you’re not satisfied with the service, talk to the vet and be honest in a courteous way. Yelling and blaming won’t get you anywhere. Give the vet a chance to fix the issue and fill in any shortcoming on his/her part. With excellent communication and honesty on both sides, you can exchange information that could benefit both parties. You must not only call the cat vet when you have complaints. You should also let your vet know when you are happy with the service. A little praise can go a long way. For someone who is extremely devoted to cats, you've probably considered about becoming a full-fledged cat veterinarian. If you're seriously thinking about pursuing a cat veterinary practice and putting up your cat veterinary clinic, then we say ‘"go for it!" As long as you got what it takes to become a feline veterinarian, then there's nothing from being paid for doing what you love. The road to becoming a cat vet requires more than a genuine affection towards pets. Of course, you'll need to possess a sincere love for cats to succeed in this field. However, there's more to that than just fondness and compassion. First, let’s try to answer this question: What does a veterinarian do? 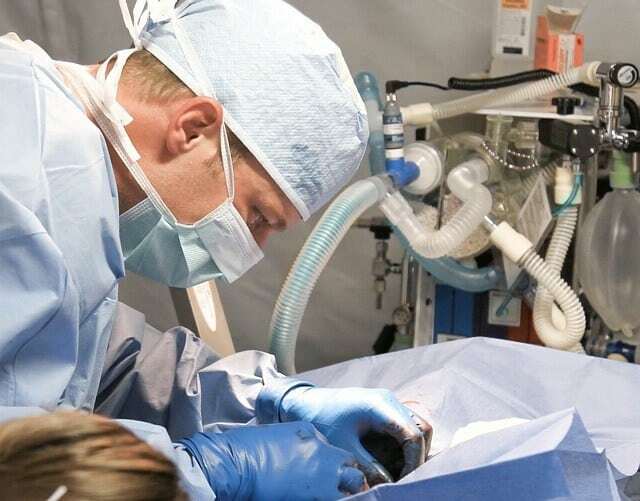 A veterinarian is a medical professional that has been trained and educated by an accredited institution to diagnose and treat sick and injured animals. Aside from that, vets also advise pet owners on proper care of their pets. The scope of veterinary medicine covers all animal species, both wild and domesticated. However, if you want to set your eyes on specializing in domestic cats alone, you can do that by becoming a cat veterinarian. Cat veterinary is a subset of small animal veterinary practice specializing in diagnosing and treating health problems in cats. Cat vets may work at veterinary clinics or animal hospitals, though most of them prefer to work at feline-only clinics where they could only focus on cats. Feline vets can also offer their services to veterinary pharmacies, educational institutions, and government research labs. 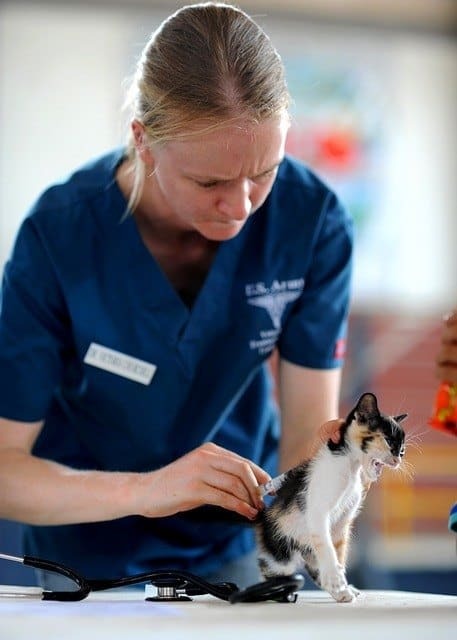 To work as a feline vet is a challenging yet rewarding task, especially if you are very fond of cats. Step #1. You are required to study for two (2) years in college, preferably in applicable classes, before you can apply to a veterinary medicine program. After two years of studying relevant resources, you should be able to complete the prerequisite courses of this program. Step #2. Complete a Doctor of Veterinary Medicine (DVM) degree in any of the accredited schools. The program typically takes four years to complete. After your obtaining the DVM degree, you can also choose to enroll for a master's and a Ph.D. degree. Step #3. Upon graduation, you will need to take and pass the North American Veterinary Licensing Exam (NAVLE), so you may become a licensed veterinarian. According to the Bureau of Labor and Statistics (BLS), the median annual wage for veterinarians who specialized in specific animals was $97,000 in 2009. Vets in their first year of practice should be expected to earn an annual income of approximately $60,000. Cats are indeed the most adorable animals in the world. Also, keeping them as companions is a priceless experience. Feeding and grooming them may not be enough to keep them healthy. This is why we need the services of cat veterinarians. Regular check-ups during pregnancies and visit to the vet clinic can help us identify any potential health risk that we can easily avoid through preventive measures. 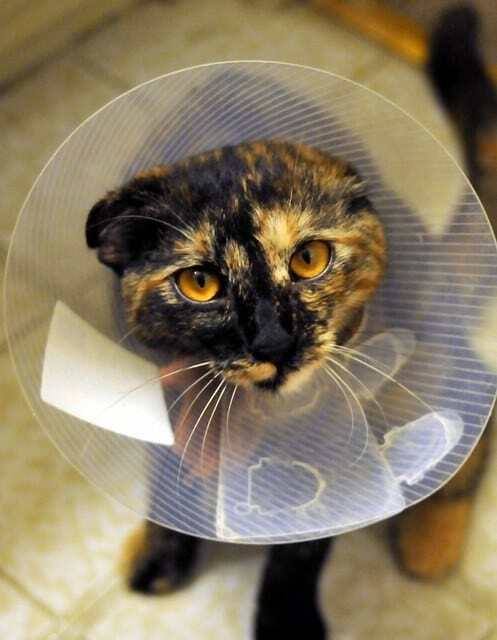 Diseases and injuries on cats may happen during the times we least expect them to arise. In these cases, don’t think twice and never play the role of a doctor on your own. Don't wait for the condition to worsen and bring your sick cat to the vet immediately. More and more people are adopting cats each year, which is why the demand for cat veterinarians has been skyrocketing for the past few years. So if you think you're passionate and hard-working to become a cat vet then go ahead and join the medical force that aims to provide high-quality health care services to cat pregnancies and cat with down syndrome as well as to our beloved furry pets. You may also check out cat flea treatment and cat dewormer for more options.